Research In Motion CEO Thorsten Heins today said that the company realized 1.5 years ago that its legacy platform would not work moving forward. It believed that its BlackBerry 5, 6, and 7 platforms had reached the pinnacle and limits of their capabilities. RIM assessed that a rewrite of BB7 wouldn't work, so it chose to completely reboot its platform strategy. While Heins didn't name Google's Android platform specifically, he alluded to the fact several times that if RIM had chosen "one of the open platforms" available in the market it would have left RIM with little ability to differentiate itself from other hardware makers. Heins viewed that idea as a compromise of the company's value proposition, which is to offer an integrated platform and hardware business. 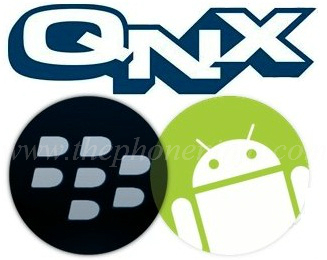 It then searched for an operating system and eventually settled on QNX, which is the basis for its PlayBook OS and future BlackBerry 10 OS. The company expects to debut the new OS later this year.